Sometimes, pictures tell more than written stories. Enjoy some of photos from various moments of my life, arranged in multiple galleries. I was meant to spend my Christmas in Bangkok, and the trip to the Philippines, as you may remember, was supposed to be the last on in 2018. I should have known better… One never plans anything, if working in humanitarian sector. 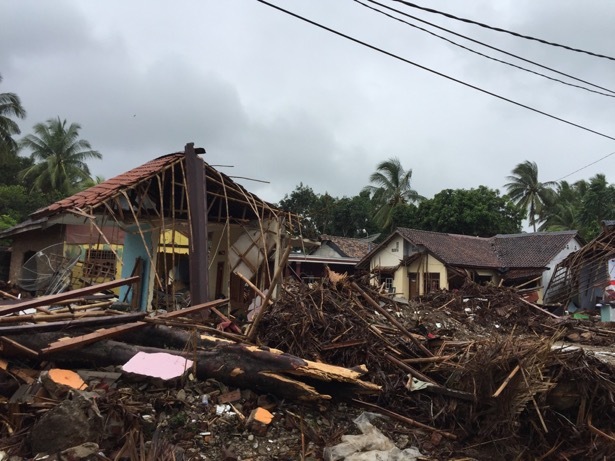 On 22nd December in the evening, a series of eruptions from Anak Krakatau Volcano tucked in between Java and Sumatra at Sunda Strait caused two large tsunami waves that hit the surrounding coastal areas of the two islands. The waves devastated many of the villages. Some were completely swept away from surface. Well over 400 people were killed, thousands were injured, and over 25.000 people became homeless. The pictures in the gallery show our mission to the affected areas. We tried to assess the needs that people had, and designed our own support in the way that is the most effective and expected by the people. The mission proved to be challenging. Locations were difficult to reach, because of torrential rains, flooding, and difficult topography. Despite the trip to the affected communities happening during 25th and 26th December, I enjoyed my Christmas. It was not what I had expected, it was not conventional, but being there with people, who have lost everything was special. I will always cherish these moments. And here are some pictures for you to see, if you wish to have a look.